In addition to appearing in JEE main 2018 exam, the candidates are required to submit an online admission form of Jamia Millia Islamia from 5 December 2017 to 14 March 2018. 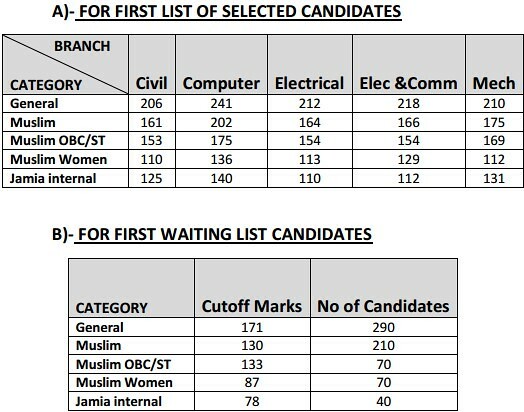 So, the candidates appearing in JEE Main 2018 and submitting the online admission form of Jamia will ONLY be considered for admission to B. Tech. & B. Arch. programmes. Jamia Millia Islamia is a central University in Delhi. It was established in 1920. Therefore, all aspiring candidates for admission to Jamia Millia Islamia are required to appear in JEE Main 2018. Candidates seeking admission to JMI’s B.Tech programs must appear in JEE Main 2018 Paper-1 examination. Candidates submitting the application for JMI’s B.Tech. as well as B.Arch programs must appear in JEE Main 2018 Paper-1 as well as Paper-2 examination. Jamia Millia Islamia University, Delhi is a Central University and offers Undergraduate and Post Graduate Courses in Science, Commerce, Arts for various courses. Jamia Millia Islamia Engineering is a 4 years course offered by Jamia Millia Islamia University, Delhi. Candidates must have passed Class 12 / Intermediate or its equivalent of a recognised Board with Physics, Chemistry and Mathematics as their main subjects. Candidates must have secured not less than 55% marks in PCM. Age criteria: The age of the candidate should not be less than 17 years on 1st October of the year of admission. A candidate who has passed Class 12 Examination and has secured not less than 50% marks in aggregate with Mathematics, English, Physics, and Chemistry as subjects shall be eligible to the first year of the B. Arch. Course, subject to an aptitude test. Candidates who have 3-year Diploma (10+3) recognised by Central/State govt. provided that the candidate passed the Diploma with 50% marks in aggregate. Admission Application Form for B.Tech/B.Arch. JEE Main 2018 Score Card. JMI Application Fee is Rs. 550 + Applicable Bank Charges and it is same for all irrespective of the category to which the candidate belongs to. Mode 2: Offline: Candidates can pay the Application Fee using Cash Challans. In the case of E-Challan, the fee may be paid in any of the branches of Indian Bank. JMI shall accept admission Fees through cash, online or Demand Draft. Admission to B.Tech./B.Arch. 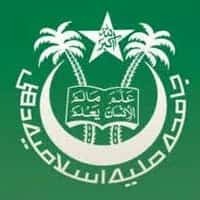 Programs of Jamia Millia Islamia for the session 2018-19 will be made based on the performance in JEE Main 2018 Examination to be conducted by CBSE. The syllabi for Entrance Tests along with the structure of the question paper and other necessary details including marks breakup, important instructions etc. can be downloaded from the JEE Main 2018.